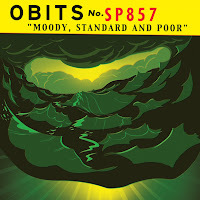 Atlas and the Anchor: Obits - "Moody, Standard and Poor"
Indie rock veterans Obits return today to remind us how it is done with the Sub Pop release of their second album, Moody, Standard and Poor. Featuring former members of Drive Like Jehu, Hot Snakes, and one of my 90’s favorites, Edsel, they combine elements of punk, surf and garage rock for an explosive sound with scrappy melodies and snarling attitude. Album opener, “You Gotta Lose” sets the tone with a propulsive rhythm and tightly woven guitar lines like the soundtrack to a violent car chase. The rubbery guitar chugging of the moody “I Want Results” stands out with an anthemic screamed chorus that features blasting guitar chords. The robotically tight rhythm of the spacey surf rock in “Everything Looks Better In The Sun” is a testament to the band’s skill. The revved-up rockabilly of “Killer” features dual guitars jockeying for position in a race to the finish. Former Edsel frontman Sohrab Habibion takes over lead vocal duty from Rick Frosberg on the fuzzed out “Shift Operator” and later on the feedback-drenched “Standards”. Standout track “No Fly List” is all high-octane rockabilly with fiery vocals and another standout, the super-danceable 50’s inspired “Naked To The World” is so instantly memorable, you will swear you have already heard it before. The short instrumental “Spot The Pikey” features assistance from Seattle’s The Unnatural Helpers and a “Tequila!”-like mid-song shout-out. “New August” features a dusty Spaghetti Western meets spy film vibe. And the rumbling “Beggin’ Dogs” and the unhinged, cascading surf-rock instrumental “I Blame Myself” close out the excellent album. 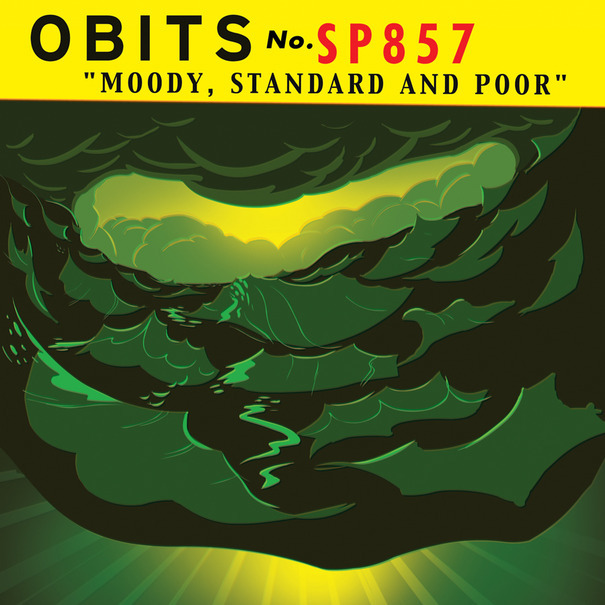 Moody, Standard and Poor is anything but standard and the perfect force to keep you awake on a long drive - equally melodic and relentless.